Hello lovelies! It's important to moisturise our skin in summers as much in winters. However it's adviced to use light weight butters and lotions to moisturise the skin. 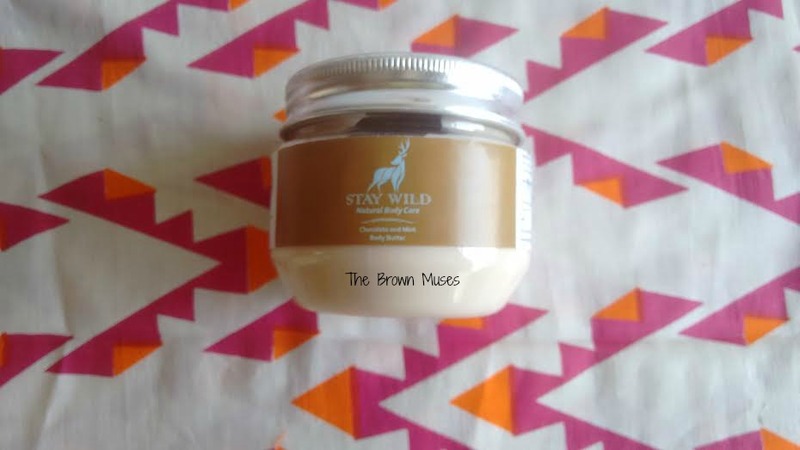 Today I will be reviewing Chocolate and Mint Body Butter from the house of Stay Wild Child. Read further to know about my experience. The creamy natural whipped body butter hydrates your skin, leaving it loved, supple and smooth as velvet. Ingredients: Shea butter, aloe vera, olive oil, vitamin E, glycerine, cocoa and peppermint essential oil. Packaging: The body butter comes in a plastic jar with a silver coloured screw lid that shuts tight. Upon screwing the lid there's a silver foil to further protect the contents of the jar. The packaging is simple and sturdy. The label bears important info like shelf life, date of mfg, ingredients etc. I had received this body butter as a gift for participating in a contest organised by the brand on their Facebook page. The body butter is light brown in colour and has a *fading* aroma of peppermint EO, I could not smell any cocoa/chocolate unfortunately. The body butter has a soft whipped creme like texture and absorbs easily into damp skin. Those with oily skin may find it a bit heavy but since I have dry body skin even in summers I don't mind using it however I make sure I do not use too much quantity as it makes me sweat in this hot and humid North Indian summer. I use desired amount of body butter every day post bath onto damp skin. The body butter instantly hydrates the skin and the skin remains moisturised for a good 4-5 hours before the need for reapplication arises. After massaging the body butter the skin looks healthy and is soft to touch but I wished the moisturisation effect stayed longer as it's a body butter and they are generally supposed to be more moisturising when compared to a body lotion. The plus point of this body butter is that it's completely natural and devoid of harsh chemicals. 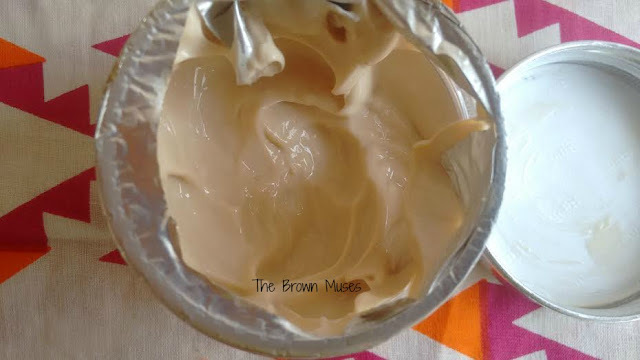 The body butter gets it's moisturising properties from shea butter, aloe vera and olive oil. 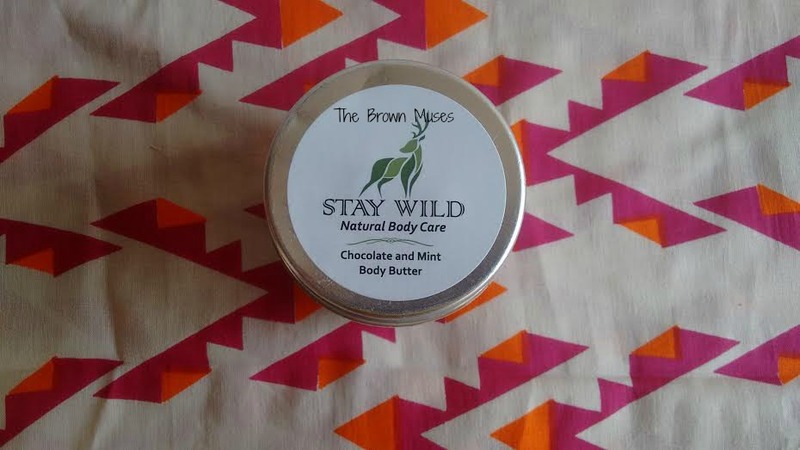 To conclude, Stay Wild Child is a decent body butter which is not too heavy for summers. However, I would advice oily skinned beauties who dwell in hot and humid conditions to skip it but dry skinned beauties can definitely give it a shot. Will I recommend: Yes why not. There's no harm in trying. Handmade, cruelty free and natural. Contains goodness of shea butter, olive oil and aloe vera. Reasonably priced for a handmade product. Has a soft texture and absorbs easily. The skin looks healthy post application. Dry skinned beauties would like it. Availability - Not for me though as I do not mind purchasing online. The moisturisation effect doesn't stay put for very long. Fragrance - It could have been better. Slightly heavy for oily skinned beauties. If you have used this body butter do share your experience with us. We love hearing from our readers. Disclosure: This product is a gift and the views and opinions expressed hereby are strictly unbiased, based on my personal experience.